Anna is a former professional tennis player (career high rankings: GB no.2, WTA 317 singles, WTA 215 doubles). 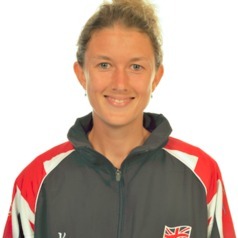 Now an academic, her research interests are performance and data analysis in tennis, representative design, constraints and implications for coaching and skill acquisition. Recent publications have explored factors related to elite tennis success and youth player development. Anna works within Sheffield Hallam University's world renowned Centre for Sports Engineering Research and collaboratively with the LTA. Additionally, Anna is actively engaged in using tennis as a vehicle for youth mentoring and social development, as part of the LTA's (formerly the Tennis Foundation's) Beyond the Baseline mentor scheme.